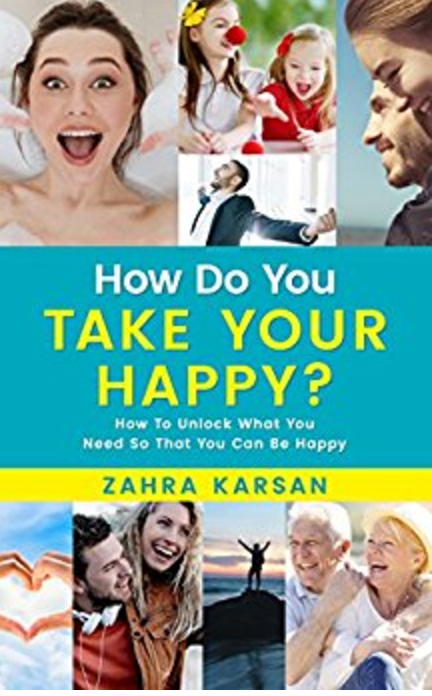 Author and success coach Zahra Karsan believes happiness is a healthy habit that can be learned. In her new book, “HOW DO YOU TAKE YOUR HAPPY? How To Unlock What You Need So You Can Be Happier,” Karsan shares a 30-day action plan for a more energized, vibrant and fulfilled life. An expert in NLP and Success Coaching, Karsan draws on years of experience helping executives, entrepreneurs and busy parents in the pursuit of success and more joyful living. Karsan found that while almost all of her clients craved happiness, the majority had a hard time finding practical tools that created a lasting feeling of joy and fulfillment. Praise for HOW DO YOU TAKE YOUR HAPPY?